I even smell revolution and she seems to be the spark that ignited it. Maybe? Ppl don't care enough to start a revolution over her, they care more about their immediate job future and financial status and the countries economics! That might be a more threatening reason for the British ppl to start a revolution then the possible future wife of the son, of the son of the Queen. Those comments are just nasty because the papers don't focus on actual news like they should! They don't want to read about this girl because there's more important stuff going on at the moment! Akasha - Since you used a quote from my post, I feel that it's appropriate for me to respond. I fully understand where you're coming from, and see your point of view. What concerns me, though, is in the past week or so, there are a lot of people here, myself included, who are getting a little, no, make that a lot, frustrated and testy. It helped me, for instance, to just express how I was feeling at the moment I wrote that because there are a lot of really angry people out there and they weren't before this all happened. When people are taking to the streets and attacking PC's car and the economy is tanking and anarchists are threatening, it's not a totally illogical thought to wonder at the future of the monarchy. And, just for me, it seems that KM just brings out the worst in people and that's not healthy for any country, gov't or leadership. To be honest, this who 'romance is such a grotesque parody of a love story, it's no wonder poeple are practically rioting in the streets. This is like watching some benefits mooch with ten kids (all out of wedlock) march up the aisle with a sweet, gentle guy waiting, while all the women who have lived responsible lives sit in the congregation, single and still hunting for a nice guy. It stopped ibeing love a long time ago and became a running joke for a reason, no one thought she would get the ring. It stopped being funny when the engagement was announced because of the very fact that it's about ambition, not love. People don't like to see the lazy and immoral enjoy things that the responsible should be getting. Revolution might be an exaggeration, but certainly, in Australia, respected newspapers have reported about this engagement igniting the republic debate in Oz. Just to note, revolutions aren't started overnight. And, I believe that Yooper's point here is that, Kate may be the proverbial straw to break the camel's back - correct me if I'm wrong, Yooper. After Charles, William couldn't afford to get it wrong, which I think he has, as do many others, obviously. I do think that people are so apathetic and concerned with the machinations of governments, as you say, that they are willing to keep the royal family on the payroll, if for no other reason that the Queen keeps a lot of less desirable persons out of the "top job". Ok, I stole that last idea from a high profile person in Oz. You are most certainly correct in your assessment at my rather clumsy interpretation of my 'thoughts', June. I think, only think, that many supporters of William nad Kate fail to see that the future KING/QUEEN is going ot be their respective HEAD OF STATE and if the Sovereign leads a life that is covered more in the tabloids than the respectable papers, it humiliates the country. Britain was dragged through the gutter during the nineties and that is why Commonwealth countries chose to disassociate themselves from Britain. Clinton had his moments, but he was out after eight years and the economy was so good that I think he coudl have set up his own personal brothel in the White House and gotten away with it. With William though, people looked at him and saw a future free from one humiliation after another and a future where he would be a faithful husband and lvoing father and a good future king. Everyone understood a lot of things and let him go his way, but this is unforgivable. He doesn't have the restrictions his father had and I daresay that as a result, he has less excuse to choose unsuitably. These days 'unsuitable' means something massive, not just having a past. He could marry someone with a humble job and no lineage or he could marry a princess from any royal house. Go figure, he chooses someone with the worst possible background (not social, but behavioral) and with one warning sign after another. Just posing in ligerie would send a signal, but it's all added up and everyone sees it but William. She's been a national punchline and that's bad enough, but mainly bceause everyone knows it isn't about love, but about ambition. It's been obvious since 2007. but now, a woman with nothing but trouble to offer is getting not just a ring, but the highest marital 'catch' in the world and she's not even pretending ot appreciate it even. Totally OT, are people sick of my avatar yet? I looked at it and thought...overdone? Ok, back to the discussion at hand. Appreciate her new social status!? pffft. She's more than likely felt entitled since at least 2007! Her family just couldn't wait to make money off the high profile event and subsequent status, hence the encouragement, by William and Kate, for people to have street parties & join in on the fun, and Party Pieces making it a marketing priority to have the supplies anyone needs to party in the streets with merch from the future Queens family! It's really all quite obvious to many people, but the Middletons fail to see their own vulgarity and utter inappropriateness! I've known people from all walks of life, yet I don't know one person who has angled to make money off their own daughter's wedding! And probably "exclusive" street party merchandise at that! P.S. I like your avatar Y., makes me smile! And aside from the detriments of smoking, apparently the detriments of vulgarity, such as shameless profiteering and excessive partying are in the Middleton bloodline! Thanks, EA, I like to make people smile. Somebody let me know when it's played, tho, ok? This marriage will be Freeloading Fergie x 5 (all the members of the Middleton clan) and I seriously pity the Brits. And on the other hand I'm thinking like: Why the hell should I angry over this girl and her guy so much anyway?, I'll never meet them in person, I don't have to finance their live trough taxes and half of the tripe they write about them are fictions from gutterpress anyway! It's his own damn choice! If he's to dumb to realise that she is not the right way to go I say, just let them rot because noting you say is gonna change a thing about this whole mess, just relax and enjoy the fireworks when it all comes crashing down! And yesterday that second part came trough a bit to strong , I apologize if I trot on anyone's toes because of this! ^^^ I think you were fine in your comments. We're all allowed to have opinions, however strong they may become. This situation makes me experience a whole range of emotions, primarily because the Middleton's are a joke and then it just snowballs from there. Then there are times I'm just apathetic about the whole thing. Yet it's like the future King has decided to marry the court jester's sister! And it's fundamentally the principle of the matter that gets me worked up. No matter how much some people would love to see traditional hierarchy collapse, such is what our civilisation is built upon and those same people don't seem to realize the chaos and calamity that will pervade our lives if post structuralist ideology takes over our western culture. The implications for disintegration of the class system are rife with corruption and disorder in the bigger picture. Not a world I'd like to live in anyway. Some people just don't have what it takes to be in positions of authority and when it eventually becomes a free for all, social climbing, power hungry world, we will all know what it's like to live with the blind leading the blind! We'll be right back to the beginning, living by the laws of the jungle, so to speak. I still think you're great Akasha! What so many in the UK, who promote a Republic, do'nt understand, is taht social class is everywhere. In the US it has to do with how old your fortune is, or your ancestry in relation to the Founding Fathers and war veterans. It's a LOT more subtle too and JFK was rich, but not 'social' and all the Kennedy men married 'higher up' on the social scale. 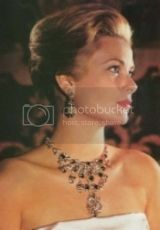 Then Grace Kelly's father was peeved about not being good enough to be accepted by Main Line society, while he could have bought his way into the Social Register and wanted his daughter Grace to marry into soceity, meanwhile her family acted as pretentious as could be (looking down on Jews and Oleg Cassini as not being good enough for Grace) and were morbidly concerned about appearances. As for your feelings on Kate, I think it's more revulsion mixed with fascination. I think it's more revulsion mixed with fascination. This statement reminded me of the attraction for people, to circus side shows and freak shows! Considering the situation I think that's more than enough of an apt description.